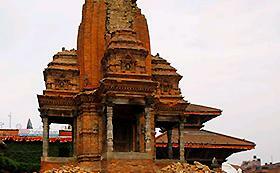 A year after a devastating 7.9-magnitude earthquake, the Nepalese government has initiated reconstruction of damaged cultural heritages on Monday. The militants of the terrorist organization “Islamic state” destroyed two thousand years of the monument “the Gate of God” near the Iraqi city of Mosul. About it writes The Independent with reference to a source in the British Institute for the study of Iraq. Syria’s antiquities chief said on March 28 that his department would need five years to restore the ancient ruins of Palmyra damaged by the Islamic State of Iraq and the Levant (ISIL), while Syrian government forces backed by Russian air strikes battled ISIL around Palmyra, trying to extend their gains. Διεθνές Επετειακό Έτος Αριστοτέλη ανακηρύχτηκε το 2016 από τη Γενική Διάσκεψη της UNESCO, κατά την πρόσφατη 38η Σύνοδό της που πραγματοποιήθηκε στο Παρίσι. 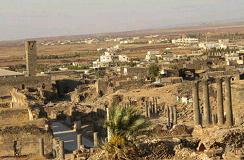 UN, 24 December 2015 – The United Nations Educational, Scientific and Cultural Organization (UNESCO) today condemned the destruction of parts of the ancient Syrian city of Bosra in fighting two days ago, alerting the world art market to potential trafficking in artefacts from the World Heritage site. Kosovo's failure to gather the needed majority of votes to join the United Nations Organization for Education, Science and Culture (UNESCO) is a victory for justice and international law, Serbia's Ambassador to Russia Slavenko Terzic told Sputnik on Monday. UN, 2 November 2015 – Marking the International Day to End Impunity for Crimes against Journalists, United Nations Secretary-General Ban Ki-moon is honouring journalists and media workers who were killed in the line of duty for merely 'reporting the truth' and is underscoring the importance of protecting their rights and ensuring they can report freely. 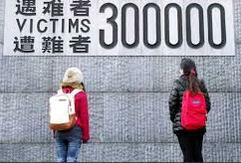 Japan's government may halt funds for UNESCO over a UN decision on including documents of the Nanjing massacre. Yoshihide Suga, Japan's chief cabinet secretary, described on Tuesday the decision as biased and "problematic" and criticised UNESCO for going ahead despite the conflicting views of Japan and China. UNESCO's director-general on Monday condemned the destruction of the Arch of Triumph in the ancient Syrian city of Palmyra by ISIS, saying "extremists are terrified by history and culture". 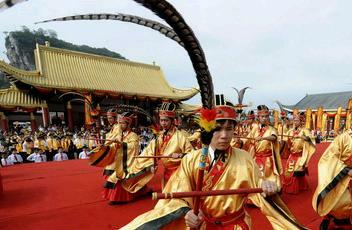 Ceremonies were held in a number of Chinese cities on Monday to celebrate the 2,566th anniversary of the birth of ancient Chinese sage and educator Confucius. Two key UN agencies and some countries on Sunday joined Interpol to launch a major new initiative to enhance the protection of cultural heritage targeted by terrorists and illicit traffickers against a backdrop of a sharp rise of terrorist attacks and destruction of cultural heritage in armed conflict. Archeological sites in Syria are being looted "on an industrial scale," with proceeds being used to fund Islamic State extremists, the head of UNESCO warned today. Conservationists are facing a race against time to prevent one of Ethiopia's most sacred religious site from crumbling away. 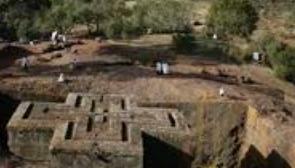 The ancient churches of Lalibela in northern Ethiopia have been a place of pilgrimage for local Christians since they were constructed 800 years ago. 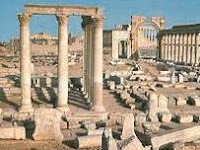 UN, 24 August 2015 – Extremists “cannot silence history,” the Director-General of United Nations Educational, Scientific and Cultural Organization (UNESCO), Irina Bokova, declared today, firmly condemning the destruction of Palmyra’s ancient temple of Baalshamin, in Syria, a World Heritage site. Syrian activists and the country's antiquities chief say the so-called Islamic State militant group has blown up an ancient temple in Palmyra, one of the the most historic sites in the Middle East. ISIS extremists in Syria and Iraq are engaged in the “most brutal, systematic” destruction of ancient sites since World War II, the head of the U.N. cultural agency said Friday - a stark warning that came hours after militants demolished a monastery with ancient foundations in central Syria. Η Αμμόχωστος ανήκει ήδη στην ιστορία της Ευρώπης και αυτό από το 1570. Αντιπροσωπεύει το σύμβολο της αντίστασης ενάντια στη βαρβαρότητα. Ο πρόεδρος της Κυπριακής Δημοκρατίας, Νίκος Αναστασιάδης και ο Τουρκοκύπριος ηγέτης, Μουσταφά Ακιντζί, φαίνεται να κατέληξαν σε κατ' αρχήν συμφωνία να κηρυχθεί από την UNESCO ως μνημείο παγκόσμιας κληρονομιάς το μεσαιωνικό τμήμα της κατεχόμενης πόλης της Αμμοχώστου. Cuba is preparing to unveil a new tourist attraction inspired by the country's famed cigar industry.